They’re hand-blown by Muslims in Hebron, hand-painted by Christians in Bethlehem, and shipped by Israelis from Ashdod. Bethlehem Baubles seeks to renew the authentic Christmas spirit by offering an original and thoughtful gift that represents a deep sense of connection and community. 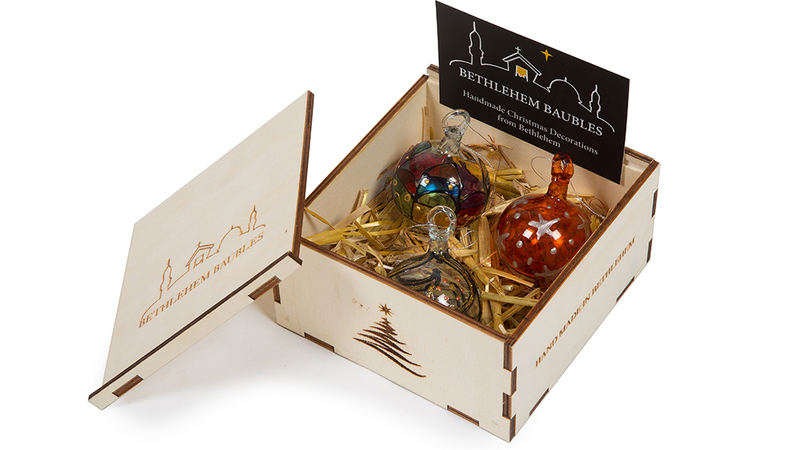 Each bauble arrives on a bed of straw in its own presentation box along with a certificate of origin. No plastic is used – and it’s made from recycled materials! Founded by Ros Pollock while posted to Jerusalem with the UN, Bethlehem Baubles aims to provide a grass roots, fair living wage to a struggling community. ‘Together we can make a difference for these skilled artisans,’ she says.